There weren’t many great role-playing games to grace the Dreamcast, and that’s particularly strange given Japan’s affinity for the genre. 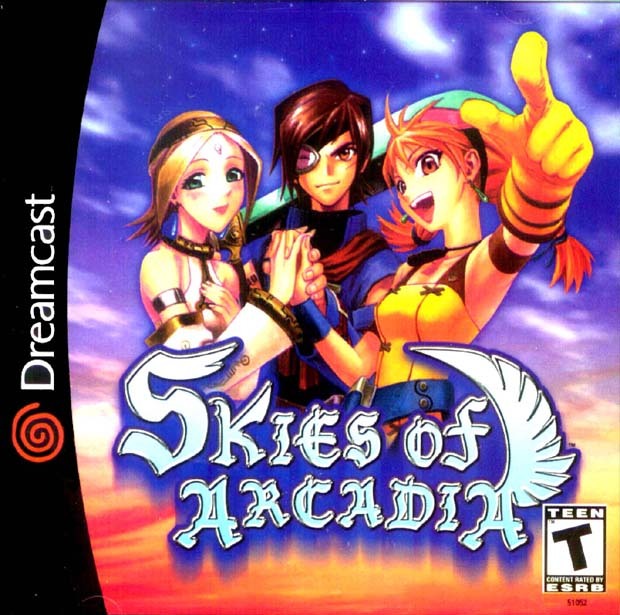 Still, Skies of Arcadia wound up being the cream of an admittedly subpar crop – a steampunk-tinted JRPG with pirates, airships, and plenty of dungeon crawling. The game was eventually ported over to the GameCube, but one of its most endearing features – a VMU-based mini-RPG called “Pinta Quest” – did not survive the transition. Its two main characters – Vyse and Aika – would find their way into Valkyria Chronicles a few years later. Fans have demanded a sequel to this day, fifteen years later. All things considered, the Sega title has left quite a legacy behind. 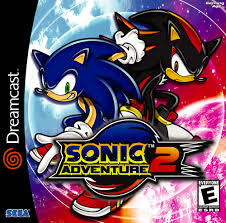 Sonic Adventure 2 represented a bit of a crossroads for the once-vaunted Sonic the Hedgehog series. It was the last game in the franchise to appear on a Sega console, which at the time was as strange as the final Super Mario game on the Wii U would be today. So this was the end of an era. In another respect, it was the beginning of a new one, featuring the debuts of both Shadow the Hedgehog and Rogue the Bat. The franchise would soon take an absolute nosedive in its Xbox 360 and PS3 reboot, but it ended its Sega run on a strong note. One of the earliest and most recognizable video games in the medium’s relatively short history is Pong, a game in which the sole purpose was to move a little paddle up and down in order to bounce a square back and forth. 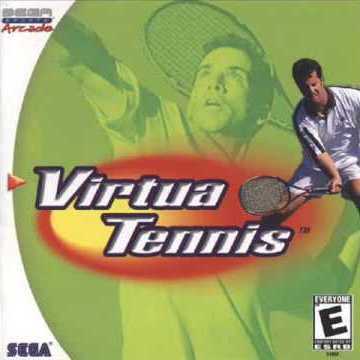 Virtua Tennis was a phenomenal tennis game, revolutionary for its time both graphically and gameplay-wise, and yet its core premise remained essentially unchanged, 28 years later, from that same premise laid out in Pong. In a strange way then, the comparison between Pong and Virtua Tennis represents not just how quickly and fully video games evolved at the end of the twentieth century, but also how timeless a fundamentally good video game premise can be. The Dreamcast’s dearth of quality RPG titles has already been pointed out, and arguably none of them were more impressive from top to bottom than this one. Shenmue wasn’t just an RPG. It was a three-dimensional open-world game that served as a precursor not just to Western RPGs for the next decade or so, but also to third-person viewpoint-based games in general. Grand Theft Auto III, mega-hit that it was, owes so many aspects of its design to Shenmue. It’s easy to see why fans are still excited today about the prospect of seeing a Shenmue 3. Jet Grind Radio – or Jet Set Radio as it was known around the world – was another one of those games so specific and bizarre that it could only have come from Sega. In this one, you roller skate around a city tagging walls with your gang’s graffiti and eliminating your rival gangs’ competing spray-painted callsigns, all while avoiding police officers. You could even customize your avatar’s graffiti tags. It was also notably one of the first games to use cel-shading for its graphics. A sequel came out in 2002 for the Xbox, and the franchise hasn’t been heard from since then. 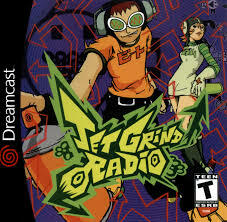 Still, Jet Grind Radio is remembered fondly today as one of the best games on the Sega Dreamcast. 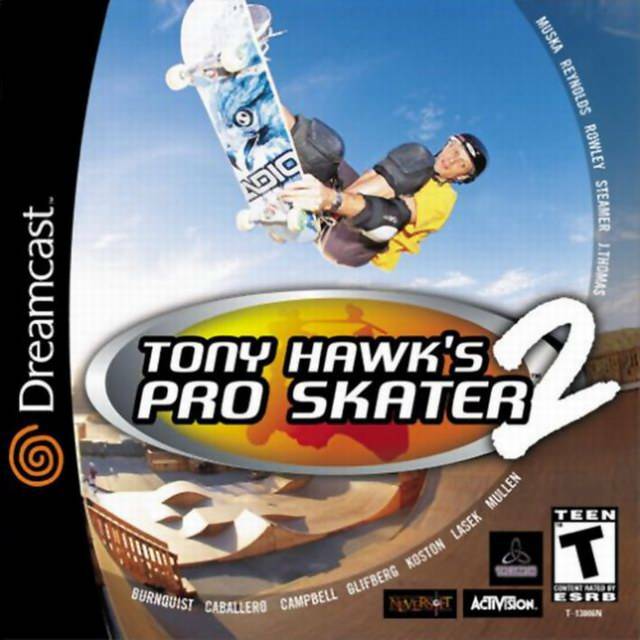 The first Tony Hawk’s Pro Skater game paved the way for this beloved sequel, which did everything the first game did and plenty more. Tony Hawk’s Pro Skater 2 took virtual boarders to places like a bullfighting ring, a giant halfpipe floating in the ocean, and even outer space. Available options included “moon physics” and “perfect balance,” which nearly broke the game wide open in their allowance of infinite combinations. Hell, Spider-Man was an unlockable secret character. What more could anyone ask from a skateboarding game? What you have here is nothing fancy or complicated. 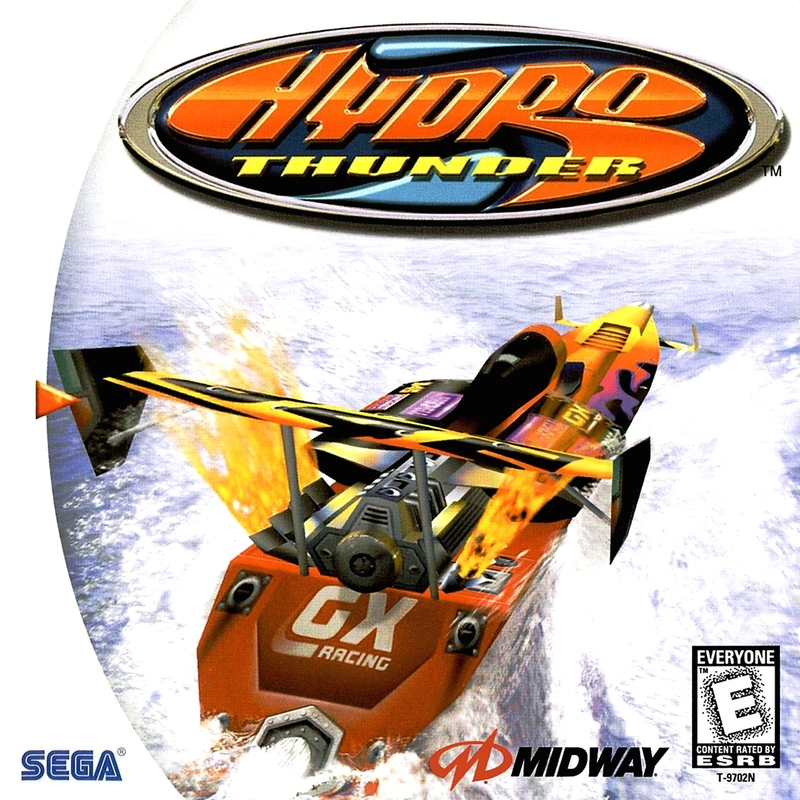 Hydro Thunder was an arcade-ported speedboat racing game available at launch for the Dreamcast wherein players careened through courses like an iceberg-laden section of the Arctic Ocean, the canals of Venice, the Nile River, or a flooded out post-apocalyptic New York City. Vehicular options included the Tinytanic – a tiny replica of the Titanic, of course – and the Chumdinger, which was just a little fishing boat featuring a man and his dog. A sequel stalled in development hell for a little while before ultimately being released as an Xbox Live Arcade game, but the original Hydro Thunder is still the best option out there for video game speedboat racing, even after all these years. 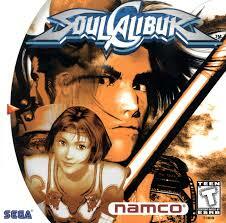 Widely regarded as one of the best fighting games of all time, Soulcalibur began its life, like so many other great Sega console games, as an arcade game in 1998. It holds the distinction of being one of a select few games to actually improve, graphically, while making the transition over to a console port. Credit the Dreamcast’s revolutionary graphical capabilities. The game’s very forgiving input-buffering thresholds allowed for easy combos and seamless gameplay, and its eight-directional movement schemes made it a truly three-dimensional fighter at a time when flat screens with lateral movement were still the standard for the genre. While Mario’s first foray into the three-dimensional platforming realm was revered and acclaimed in 1996, the first three-dimensional Sonic the Hedgehog game, made in the same year for the Sega Genesis, was widely criticized at the time and has only grown worse with age. 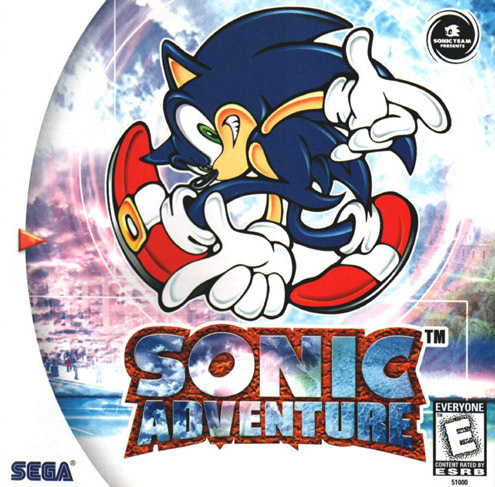 A planned Sega Saturn Sonic game was canceled, and it wasn’t until 1999 that North American gamers were finally treated to a three-dimensional experience worthy of the iconic blue hedgehog. Furthermore, the Dreamcast launch title holds the distinction – at least in a tied sense – of being the first 128-bit console game, ushering in an entire new generation of gaming in its wake. It is a game not only worth remembering, but also worth playing today. Coming in as the top overall Dreamcast game is a title that inspired a Simpsons-themed knockoff and a minigame that would become a fixture in the Grand Theft Auto series. 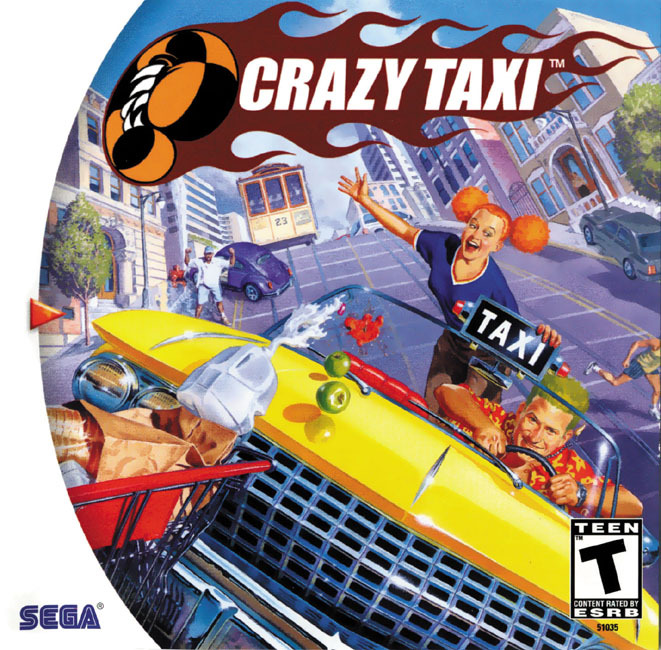 It’s Crazy Taxi, the game in which passengers must be picked up and dropped off at various locations throughout a city with no regard for traffic laws or basic road safety. 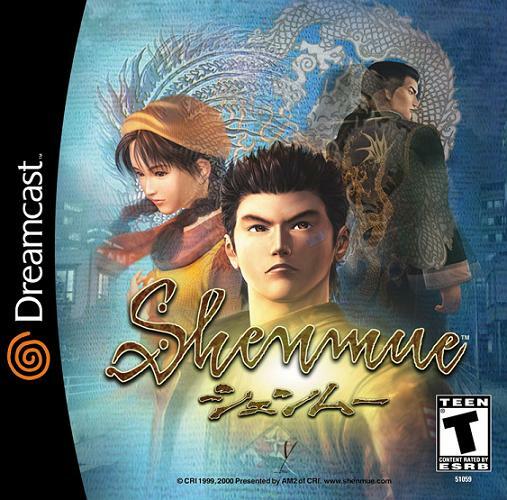 There’s almost nothing else to the game beyond doing cool stunts for spare cash, and yet it’s one of the most iconic and addicting experiences on the Dreamcast. This is quintessential Sega: haphazard, absurd, and ridiculous, but so wonderfully endearing all the same. Hall of Fame Time Bro is a recurring multi-part feature in which the bros put their heads together to create a collaborative list of games that deserve canonical recognition as all-time greats. This entry was posted in Features, Hall of Fame Time Bro and tagged new. Bookmark the permalink.